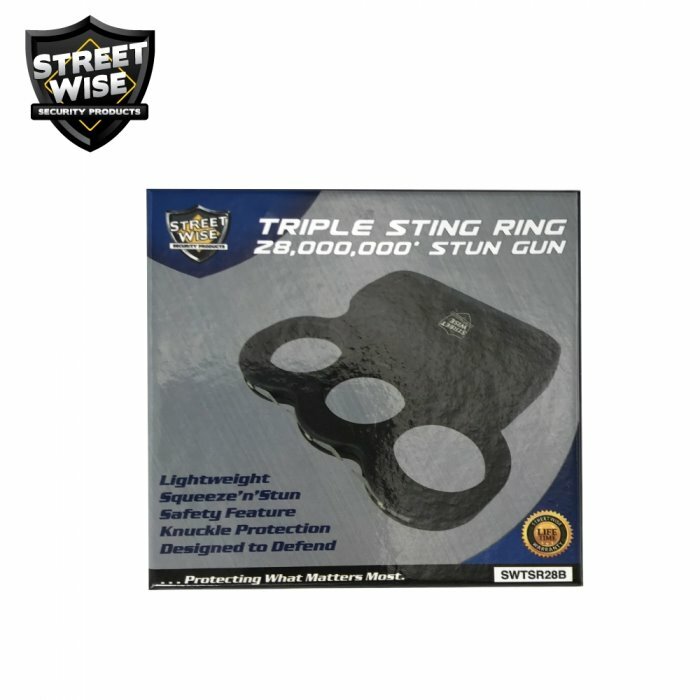 Building on the success of the Streetwise Sting Ring we are introducing the Triple Sting Ring. 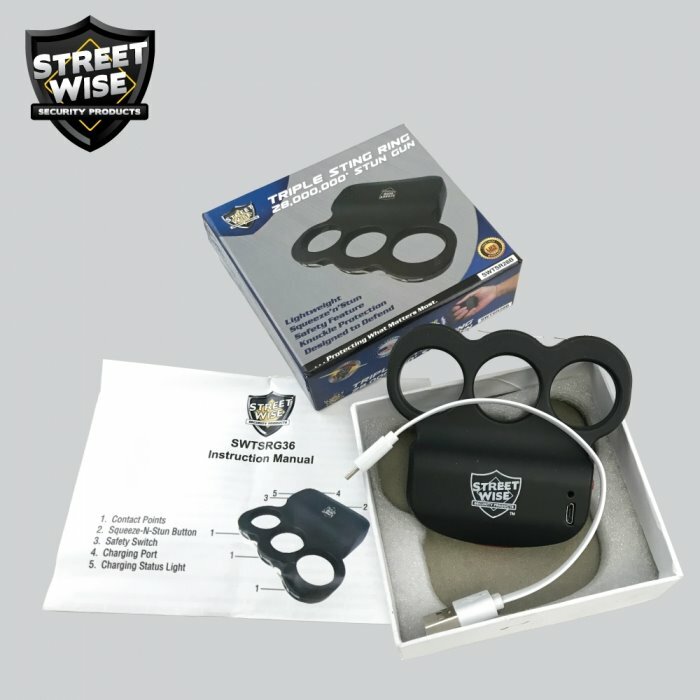 This innovative patent pending design provides a larger stun area with more rings to protect your hand. 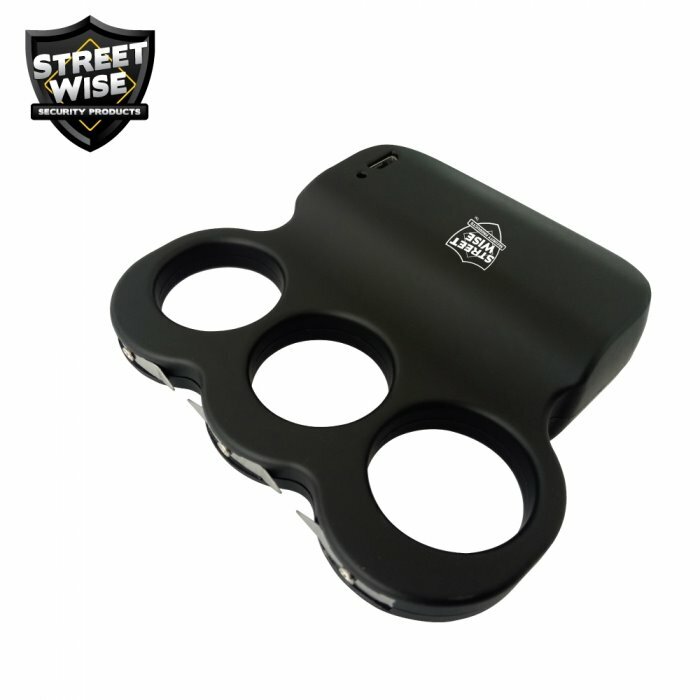 The rounded base fits securely and naturally in the palm of your hand providing a firm grip and making it extremely difficult to be taken away. The Squeeze-N-Stun Technology can be a life saver in a panic situation since you only need to squeeze your hand to activate the unit with the safety turned off. Just test firing this device in the air is enough to scare most attackers away, if not then a jolt from the ring certainly will. 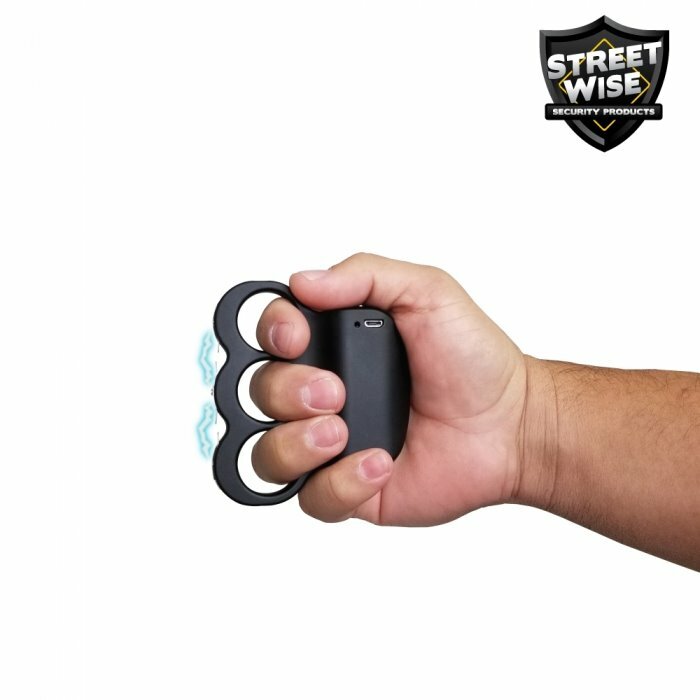 Many stun gun designs make it difficult to find the right position for maximum stunning but the Triple Sting Ring makes that easy and provides the best grip available. 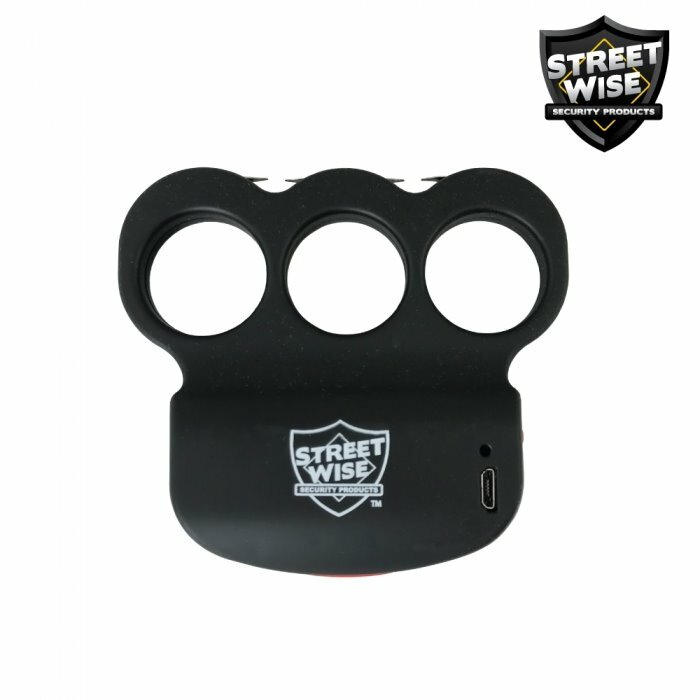 Designed to Defend: The superior grip ability and impressive stun voltage makes it ideal for anyone to use without being easily knocked out of your hand. Concealed by Your Hand: The base of the unit is concealed inside your closed fist, leaving only the sting rings exposed giving you the element of surprise. 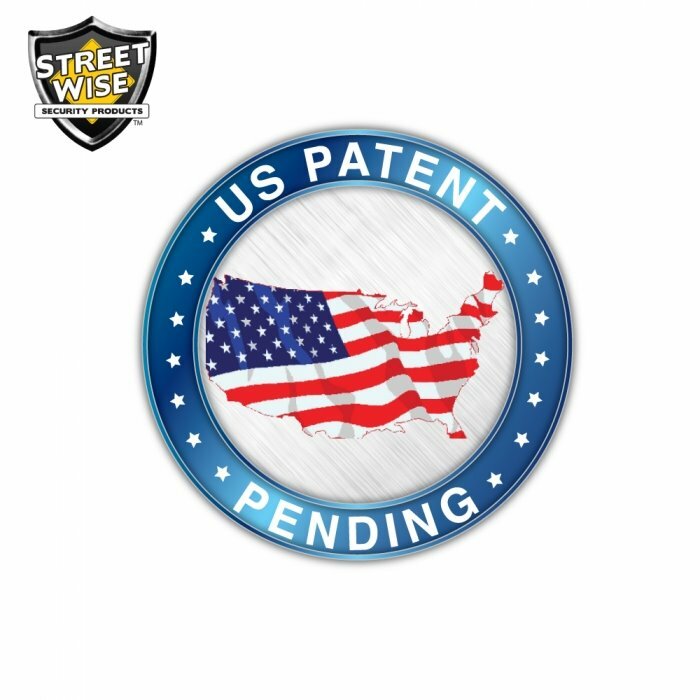 Lifetime Warranty: The Triple Sting Ring is made by Streetwise Security Products- the leader in the personal protection industry and features a lifetime warranty.